Tilray Canada and Sandoz’s Canadian arm plan to jointly operate in jurisdictions where cannabis is or will be approved for medical purposes. Shares of Tilray surged in Tuesday afternoon trading after the medical cannabis company announced that one of its subsidiaries struck a collaboration agreement with pharmaceutical company Sandoz AG. 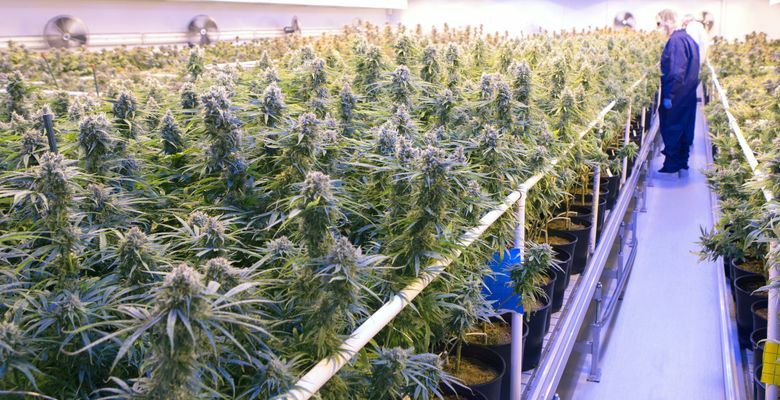 Under the deal, Tilray Canada Ltd. and Sandoz’s Canadian arm plan to jointly operate in jurisdictions where cannabis is or will be approved for medical purposes. The agreement also allows the companies to potentially collaborate in such areas as co-branding certain non-smokable/non-combustible products and developing new medical cannabis products. Tilray has products available in 12 countries and operations in Australia, New Zealand, Canada, Germany, Latin America and Portugal. It is a subsidiary of Seattle-based Privateer Holdings. Tilray Inc.’s stock jumped more than 15 percent to $76.05 in afternoon trading. Sandoz is a unit of Swiss pharmaceutical company Novartis AG. Its shares dipped 25 cents to $85.51 in afternoon trading. Tilray is first Canadian company to import medical pot to U.S.